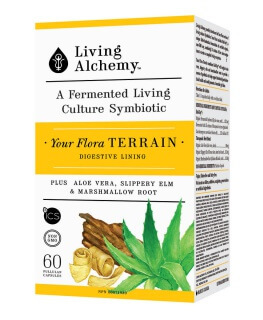 Your Flora SENSITIVE combines our 35 strain living culture Symbiotic with organic peppermint and lemon balm specifically for those requiring gut flora support with digestive irritation or sensitivity. to create a complete living ecosystem. 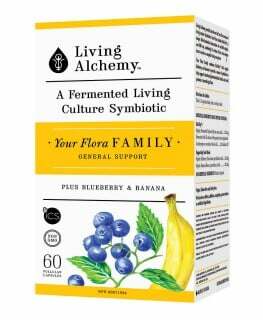 A healthy gut flora is important in helping conditions associated with digestive sensitivity. 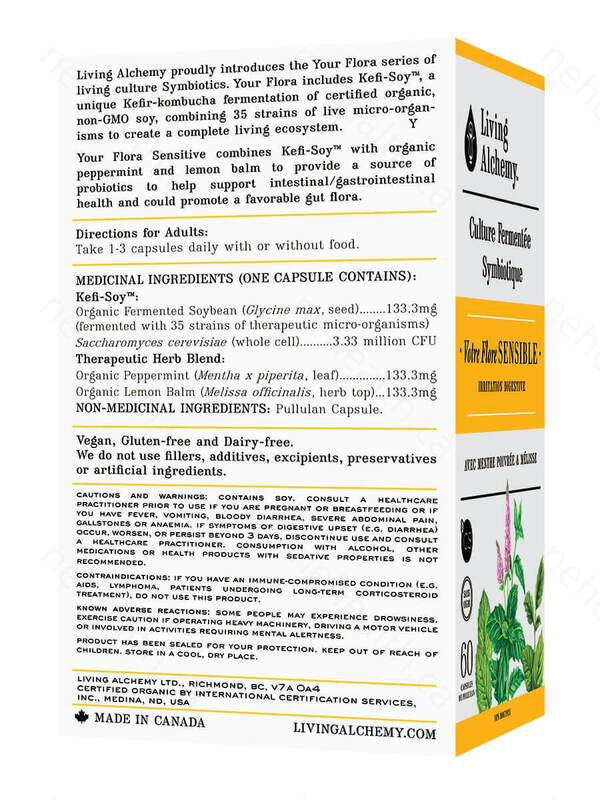 Kefi-SoyTM helps maintain a healthy state of gut flora and much more from its digestive nutrients. Kefir comes from the Turkish word good feeling due to its calming properties. 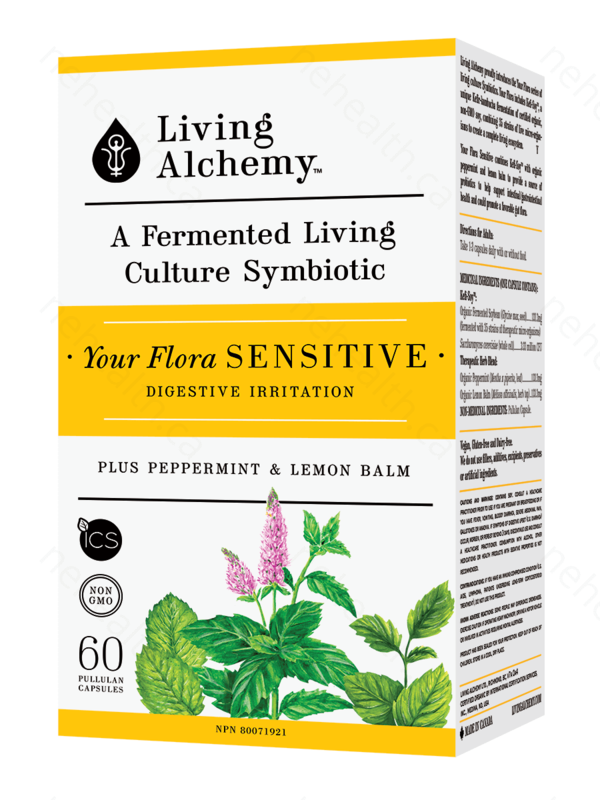 Peppermint has the strongest evidence in helping soothe digestive sensitivity. 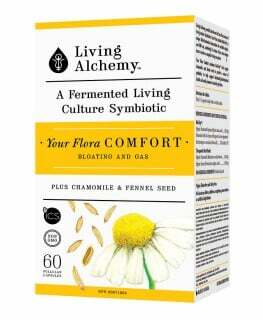 It helps to calm the digestive tissue that can overreact when in contact with certain foods. 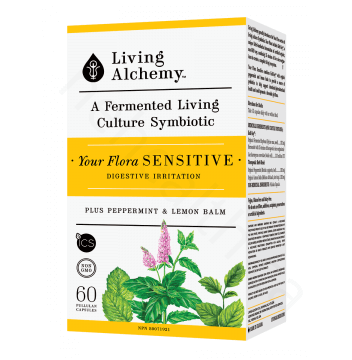 Lemon balm is an ideal calming herb and helps reduce stress linked to digestive sensitivity. This herb can help relax and reduce digestive irritation. 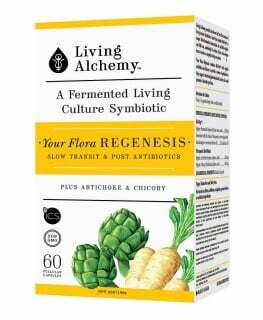 Take 1 -3 capsules daily with or without food.